An in-depth look at cruelty-free foundation in all its glory and myriad forms. Already know what you want? Check out the full list of featured cruelty-free foundations here. #Fact: everyone has imperfections that they’d rather other people not see. That’s basically why foundation was invented. The right cruelty-free foundation can be like confidence in a gloss bottle as it evens out skin color, covers up redness and blotches, smooths over pimples (ew) and adds a general radiance to your complexion. It can also act as a barrier against pollution and can even make you look younger. It’s a win win. Cruelty-free means that the company making your foundation didn’t test the ingredients or final product on animals. Animal testing is a practice that many companies still conduct today which leads to the unnecessary suffering, and even death, of animals. Only buying cruelty-free products sends the loudest message that cruelty towards animals is not acceptable. Plus, knowing that the daily staple that makes you look and feel better wasn’t tested on animals makes it all the more special. We’ve taken a look at the very best cruelty-free foundation options to help you make the switch. For something to be considered cruelty-free, no part of the product can be tested on animals at any point during production. This means the individual ingredients and finished product weren’t tested on animals by the company or a third party on the company’s behalf, that the company didn’t purchase raw materials from suppliers who tested on animals, and that the company doesn’t sell in markets where animal testing is required by law, like in China. Vegan is different to cruelty-free. Vegan means no animal products are used, whereas cruelty-free means that no part of the product was tested on animals. Cruelty-free products may or may not be vegan, and vice versa. There are three organizations that currently certify whether a product is cruelty-free: PETA, Leaping Bunny, and Choose Cruelty Free. Each of these orgs have their own bunny logo which you can look for on the side of packaging. 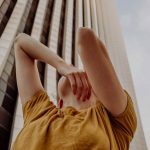 Since the term “cruelty-free” is unregulated, some companies claim to be cruelty-free without actually adhering to the cruelty-free standards so it’s good to always do your own research and be a savvy shopper. If you’re unsure you can always send the company an email asking them directly about their practices. You can find our list of cruelty-free brands here. Liquid foundation is a time-tested classic and a go-to for beauty lovers and makeup artists alike. If you want something that will last all day, hydrate your skin, is easy to apply, and will give you a healthy look then cruelty-free liquid foundation is for you. Liquid foundation also comes in a wider range of colors than some alternatives, like BB creams, which will help you find the perfect match. The right match is especially important if you’re using medium- or full-coverage foundation so a lot of options is a priority. Liquid foundation works for all skin types and is available in a range of finishes from dewy to matte and all coverage levels. Selecting the perfect cruelty-free foundation depends on a combination of personal preference and skin type. Looking to even out your skin tone? Go for a light coverage cruelty-free liquid foundation. On the other hand, if you’re looking to cover up blemishes or imperfections or want to provide a blank slate for more extensive makeup application, then full-coverage foundation is for you. Dewy finishes create a glowing, fresh face look. Matte foundation will give you a shine-free and flat look. #Protip: oily skin should skip the dewy finishes and use translucent powder to set liquid foundation. This liquid foundation contains salicylic acid, tea tree, witch-hazel, camphor, and aloe to help soothe, treat, and prevent breakouts. e.l.f. Acne Fighting Foundation is a medium to full coverage foundation that covers redness, dark spots, and scarring associated with breakouts and also helps to heal your skin over time. It doesn’t cake when applied to oily skin which is a rare find for a matte foundation with high pigment loads. It’s also vegan and seriously budget friendly, so if you’re looking for an economical and ethical cruelty-free foundation, this is a great option. FACE Atelier Ultra Foundation is designed for the professional makeup artist in a small, lightweight and unbreakable container that’s perfect for travel. With an innovative approach that allows you to build the perfect look, it mimics real skin. The unique blend of silicones is combined with highly pigmented, long-lasting formula to create a lightweight and delicate liquid foundation that provides medium to full coverage with a satiny finish. 18 shades and four different adjusting shades mean that FACE Atelier Ultra Foundation allows you to create your very own custom foundation that adjusts with your skin tone as the seasons change. This cruelty-free foundation doubles as a primer, is water resistant, and lasts all day. 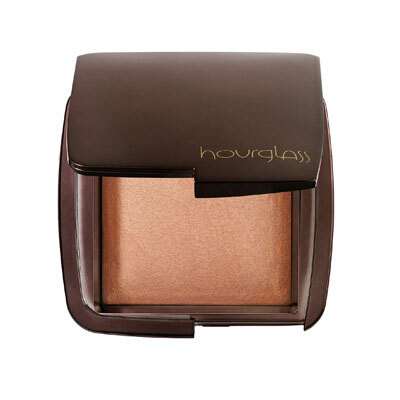 Note | Hourglass is cruelty-free but their parent company is not. 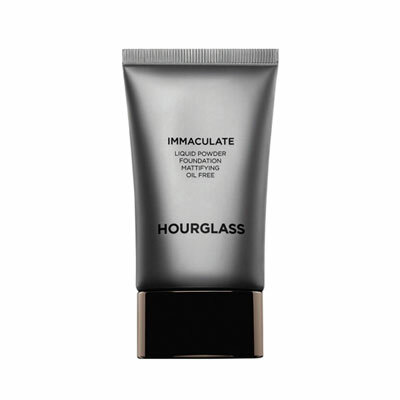 Many women with oily skin say that foundation designed for oily skin often fades or wipes off throughout the day, but Hourglass’ Immaculate Liquid Powder Foundation is great for oily skin because it’s long-wearing, absorbs oil, and covers up imperfections. It’s a really lightweight matte foundation that feels like you’ve barely put any makeup on but still covers your skin. The finish is smooth and non-cakey, offers a medium level of coverage that’s buildable and keeps skin shine free without looking dried out. 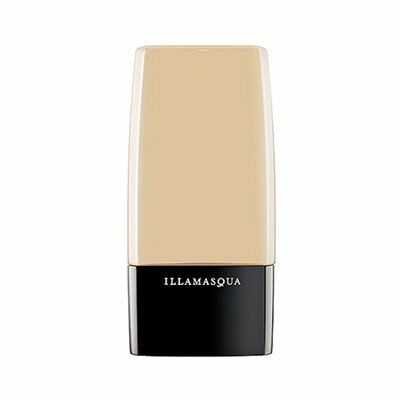 A staple of professional makeup artists, Illamasqua Rich Liquid Foundation is super pigmented and offers full coverage. 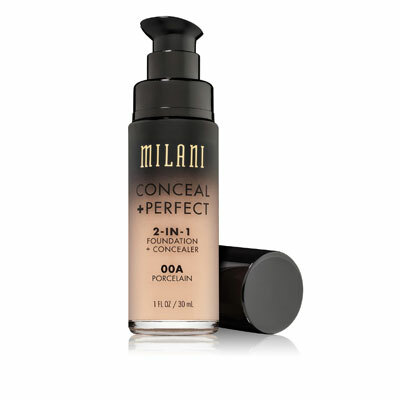 This is long-lasting, easy to blend, water-resistant liquid foundation that provides serious coverage. It offers a semi-matte finish without looking overly chalky, although it might take a bit of trial and error to get a flawless finish. People will be able to tell you’re wearing makeup (it’s full coverage after all!) but this foundation provides a smooth finish that perfectly hides problem areas. Great for those times when you want to make sure your foundation covers everything and lasts for a long time. 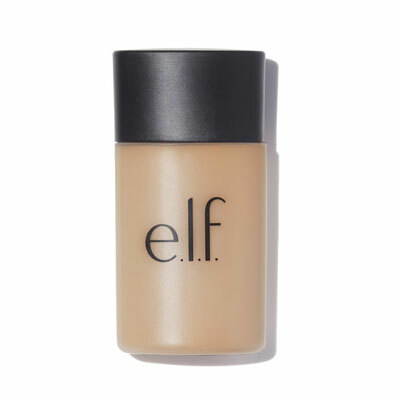 This cruelty-free liquid foundation offers full coverage with the convenience and budget friendliness of a drugstore find. This matte foundation works well for oily and combination skin and also works well as a concealer since it has concentrated pigments. It provides a good level of coverage without looking cakey and can cover up under eye circles, redness, and blemishes. The foundation is water resistant while still making your skin look naturally smooth and flawless. Note | NYX Cosmetics is cruelty-free but their parent company is not. 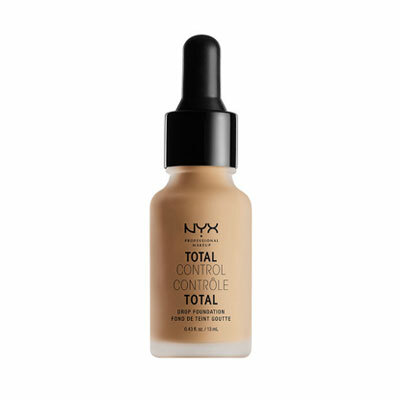 NYX Total Control Drop Foundation allows you to customize your coverage like a pro with 24 and a full range of shades available for every undertone. Super customizable, this cruelty-free foundation comes with an included glass dropper that lets you create the prefect coverage for your dreamiest skin. 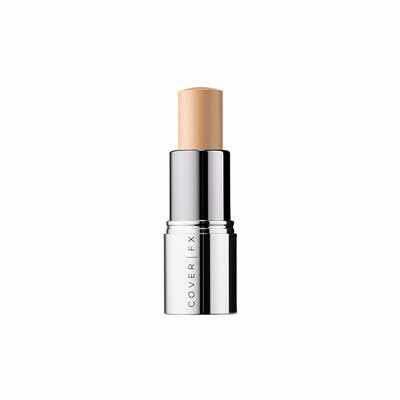 Buildable, this foundation offers sheer to full coverage and is a long-wearing and soft matte finish. Very good for oily skin but requires moisturizing first if you’ve got dry skin. A subtly luminous cruelty-free foundation that livens up dull skin with satin-smooth, shimmery finish. The formula goes on dewy, blending easily, and then sets into a natural looking finish, also works well with dry skin. It’s fragrance-free, paraben free, and gluten free which ups this liquid foundation’s eco creds. Each bottle of foundation comes with a pump applicator and free foundation brush. Physicians Formula comes in fives shades, which is fewer than some of the other liquid foundations on the market. This liquid foundation is an all-around heavy-hitter – vegan, cruelty-free, and made from non-toxic, natural and organic ingredients. Free from potentially harmful chemicals that are either suspected or known to be carcinogens, this foundation is both healthy and animal friendly. 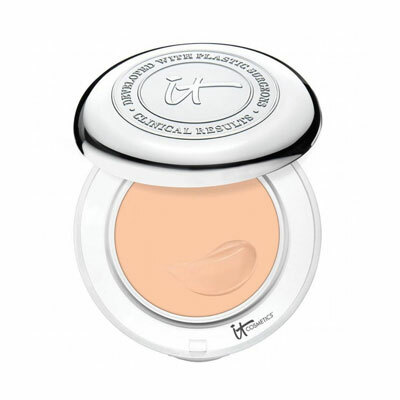 It provides flawless coverage and is lightweight, without looking or feeling heavy on your face. It provides medium coverage and does a great job of evening out your skin tone. It’s got a luxurious feel to it and blends into your skin beautifully. 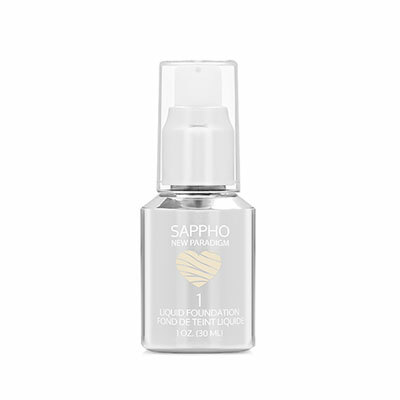 Long lasting and breathable Sappho Liquid Foundation natural ingredients have added anti-aging benefits while making your skin glow. Achieve flawless, animal friendly skin with this specially formulated combination of Amazonian clay and non-chemical sunscreens. Vegan and oil-free, this cruelty-free foundation provides long-lasting and full coverage at a reasonable price. Breathable and durable, this liquid foundation creates a flawless, matte finish while controlling oil and not caking. A full coverage foundation that covers large pores, discolorations, and other imperfections with ease, Tarte’s Amazonian Clay 12-hour Foundation is buildable and lasts all day. Note | Urban Decay is cruelty-free but their parent company is not. This vegan liquid foundation is a weightless formula that blurs imperfections and highlights your skin’s natural glow with light-diffusing spheres to give your skin a flawless and natural look. A delightful balance between luminous and matte, this cruelty-free foundation is a versatile option with a sheer to medium finish. It’s great if you’re looking for a vegan foundation that can deliver a dewy, no-makeup look while still being buildable. To find the right shade for you, make sure you check out Urban Decay’s numbering system that helps you pick the right color based on your undertones. This liquid foundation is natural looking and super lightweight, designed to look like “your skin but better”. With light to medium coverage, this matte finish makeup easily keeps any t-zone oiliness under control and is great for combo, oily or normal skin. 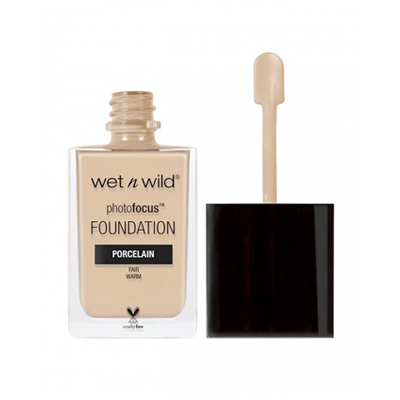 Specially formulated for the spotlight, Wet n Wild Photo Focus Foundation gives you a flawless look in photos or video as it doesn’t have a white cast when flash is used. This camera-ready makeup is made with a light-diffusing formula that gives your skin that #nofilter look. Powder foundation is probably the second most common type of foundation. It’s very finely milled and highly pigmented powder that can found in either a pressed cake or loose. In general, powder foundations are talc- or mineral-based – talc is as heavy on your skin as a liquid foundation, while mineral-based powder foundations are pretty much feather-light while still covering and evening out skin tone. Cruelty-free powder foundation doesn’t provide as good of coverage as liquid foundation, despite marketing claims to the contrary. Powder foundation isn’t as long lasting as liquid and also won’t give you the same kind of dramatic finish that a liquid or cream foundation would. Powder foundations are available in either an illuminating or matte finish – your choice will be determined by personal preference and the overall look that you’re going for. Note | bareMinerals is cruelty-free but their parent company is not. bareMinerals has been making cruelty-free and award-winning powder foundations for over 20 years. Their original foundation is incredibly lightweight while still providing sheer-to-full coverage for a no-makeup look. 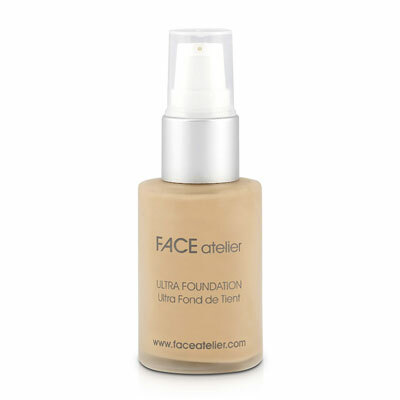 Easy to apply, this foundation is buildable and lasts for up to eight hours. It comes in an impressive range of shades that covers all undertones. 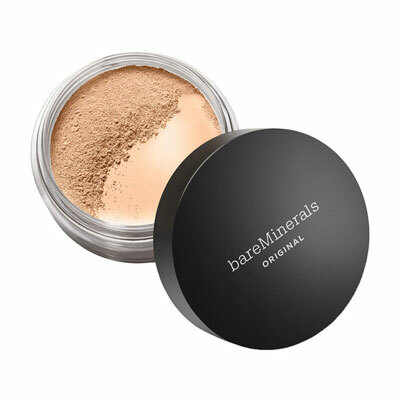 Non-drying, this cruelty-free mineral foundation smooths over fine lines and wrinkles without clumping or caking. With 40 shades available, this vegan mineral foundation offers the full range of coverage, from sheer to full with a matte finish. A talc-free powder, Cover FX Pressed Mineral Foundation is lightweight while providing buildable coverage that isn’t cakey or dry looking. Its oil-absorbing microspheres and highly pigmented formula hides blemishes and absorbs excess oil for an effortlessly long-lasting look. Cover FX products are free of fragrances, gluten, mineral oil, parabens, and talc. This cruelty-free powder foundation is designed to correct redness and create a soft-focus finish, and smoother texture. Available in three different shades – sheer, pink toned, and yellow toned, this product will diminish the look of fine lines and pores leaving you with flawless skin. It will also set your liquid foundation without creasing and stay put for at least 6 hours. An award-winning powder that will give you a radiant glow by capturing, diffusing and softening light with their own specially formulated photoluminescent technology, from invigorating morning light to romantic candlelight, this powder foundation mimics six different universally flattering light sources. With an emphasis on light and multi-dimensional luminescence, this foundation filters out harsh light and conceals imperfections, pores, and fine lines making your skin look softer, younger, and perfectly lit. Great for photos, this glitter-free finishing powder enhances skin in all lights. 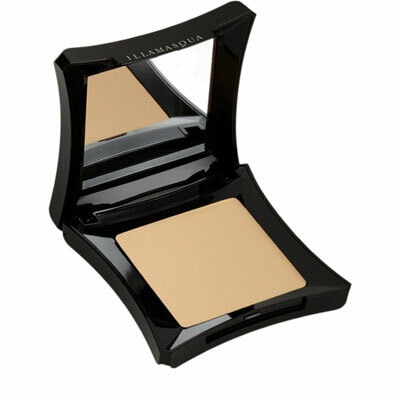 With a slightly heavier texture than others out there, Illamasqua’s powder foundation is specially suited to oily skin. Full coverage with a smooth formula that covers over uneven skin tone and blemishes while leaving skin shine-free. Although it offers full coverage, this foundation is still silky and lightweight without looking cakey. It leaves skin looking soft and smooth and is available in 17 different shades. A vegan and cruelty-free setting powder that comes in a translucent universal shade which makes it ideal for all skin tones. The powder itself is really finely milled and feels weightless and is barely invisible while setting your makeup and keeping oil under control all day long with zero touch-ups required. It goes on smoothly leaving skin feeling silky smooth with a natural matte finish. This setting powder is 30% lighter than other setting powders, non-drying, non-caking and has no flashback which makes it the perfect selfie-ready setting powder. Nu Evolution is committed to creating natural, organic and better-for-you cruelty-free makeup. Since more than 60% if what’s put on your skin is directly absorbed into your bloodstream, Nu Evolution set out to find healthier alternatives to the gnarly chemicals commonly found in beauty products like propylene glycol, phthalates, parabens, and sulfates. 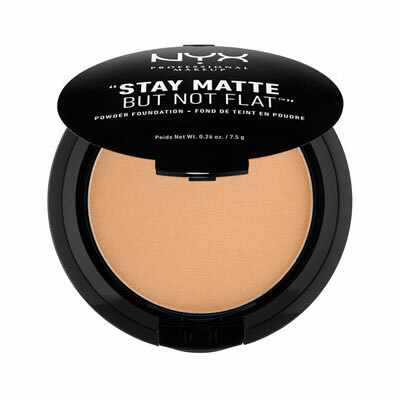 This cruelty-free pressed powder foundation provides medium to full flawless coverage and is great at minimizing pores. Free from common irritants, this powder’s great for sensitive or irritated skin. Lightweight and oil-free, this powder foundation is cruelty-free, available in 10 shades. and leaves skin noticeably more even after application. 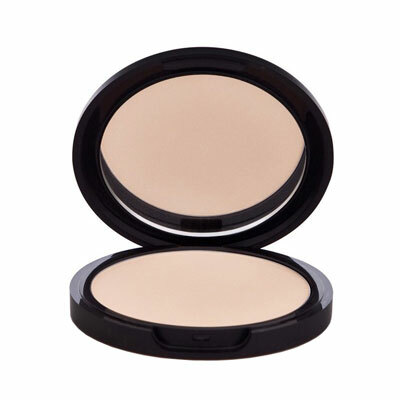 Crease-free, this powder is easy to apply and sets foundations like a charm. It’s great for a range of different skin tones and types for the perfect flattering finish. In addition to offering naturally flawless skin with minimal effort, it’s a great budget-friendly option. Note | Smashbox is cruelty-free but their parent company is not. 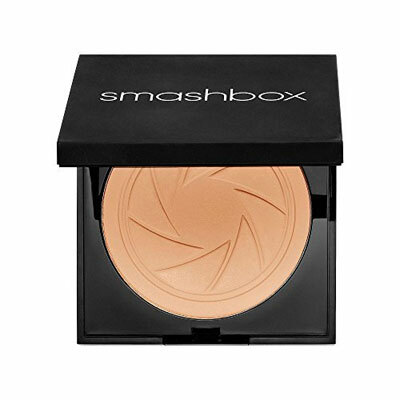 Smashbox’s special blend of Light Filter Technology and long-wear Photoset Polymers make this cruelty-free powder foundation act like your favorite photo filter. This foundation basically works just like the filters on your phone that make your skin like amazing, but IRL. Using transparent particles that diffuse the light this makeup blurs imperfections. With medium, buildable coverage this cruelty-free foundation provides the perfect on-the-go mattifying solution with a non-chalky finish that lasts up to 8 hours. Non-drying, non-cakey, non-chalky, non-settling, and oil-free. 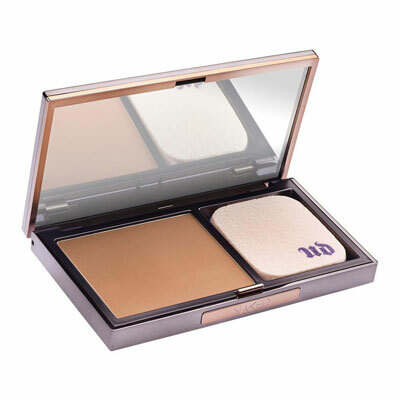 Best known for their palette of eyeshadow colors, Urban Decay’s Naked range of cruelty-free powder foundations lives up to the rep. With a velvety formula and barely-there feel, the ‘naked’ moniker is spot on as this powder foundation provides a natural-looking demi-matte finish that covers blemishes and evens out skin tone. This foundation is long-lasting and can be applied wet and dry. It’s buildable, luminous, and diffuses light to gently blur fine lines and wrinkles. Short for beauty or blemish balm, cruelty-free BB creams are the jack-of-all-trades foundation. It simultaneously moisturizes, protects and corrects your skin. This foundation goes beyond the tinted moisturizer and generally offers broad-spectrum SPF, antioxidants and other good-for-your-skin ingredients. This all-in-one makeup is easy to apply and can even out redness and blotchiness, hydrate, and protect your skin from pollution and sun, all while creating a natural texture. 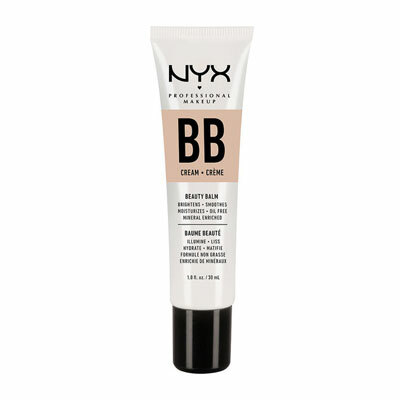 BB creams offer coverage ranging from barely-there tinted moisturizer style to medium coverage. Some creams are even ideal for skin that’s prone to breaking out. The biggest downside of BB creams is that they have a limited number of shades, ranging from light, medium, and dark. CC creams, or color correcting creams, is the sibling of BB cream and is also an all-in-one makeup solution. It’s ideal for reducing redness, dark marks or sallow skin by blending skincare with light-diffusing ingredients. In general, CC cream is lighter on your skin than BB cream and doesn’t give the same level of coverage. #Protip: if you can’t find a BB cream that is a perfect match for your skin tone, opt for ones with a finish on the sheer end of the spectrum. This award-winning BB cream is one of the most hydrating BB creams out there thanks to the formula’s combination of hydrating electrolytes and moisture-locking glycerine. It’s basically a really good tinted moisturizer with a creamy SPF 30 formula and enough coverage to rejuvenate tired-looking skin for a dewy, healthy finish. With 16 shades, bareMinerals BB cream brightens dull skin courtesy of antioxidant-rich marine extracts. Light, easy to apply and highly blendable this cruelty-free BB cream offers a refreshing, barely-there look. Note | Burt’s Bees is cruelty-free but their parent company is not. 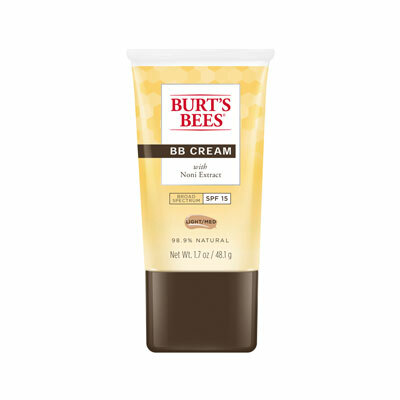 Made from 98.9% natural ingredients, Burt’s Bees BB cream is full of great-for-your-skin goodies like antioxidant-rich Noni extract. Free from parabens, phthalates, petrolatum and SLS this BB cream firms, conceals, smoothes, perfects and illuminates skin. Easy to apply, it evens skin tone and gently plumps the skin to help reduce the appearance of fine lines and wrinkles. 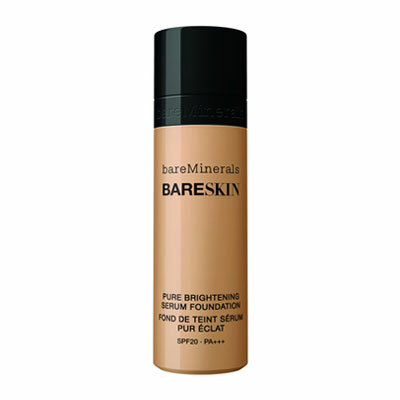 The formula includes SPF 15 which helps protect your skin from UV damage, while minerals offer a sheer, light coverage. 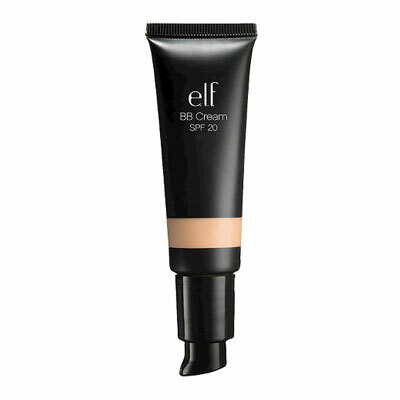 Another e.l.f classic, this budget-friendly (and animal-friendly) BB cream is infused with cucumber, jojoba, aloe and vitamin E for healthy, hydrated skin. The foundation blends easily with a weightless, clean looking, medium coverage that lasts all day long. 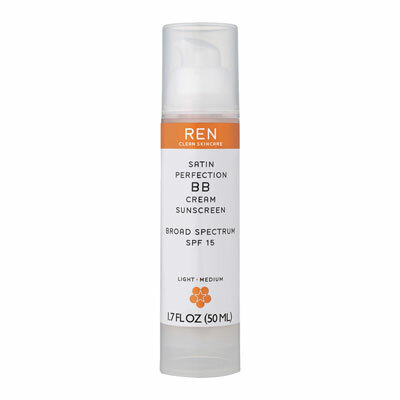 It also includes UVA/UVB SPF 20 for protection from the sun. Loved by beauty bloggers this high coverage, anti-aging CC cream also has one of the highest SPF figures out there with both UVA and UVB coverage. It doesn’t totally replace the need for actual sunscreen, but this cruelty-free foundation is an all-round heavy hitter that can combat redness and discoloration. 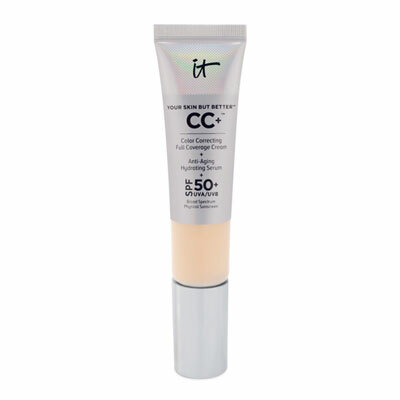 This CC cream offers medium to full coverage, is brightening, pore-minimizing, moisturizing and color correcting. It’s also free from parabens. This is a lightweight BB cream with a mineral-infused formula that provides a no-makeup look. Oil-free, this cruelty-free BB cream is great for those looking for hydrated skin that’s smooth and natural looking. It offers light to medium coverage, although it is buildable, this is perfect for blurring imperfections without looking like you’re wearing makeup. Can be worn as a primer underneath foundation or standalone for a touch of lightweight color. Note | REN is cruelty-free but their parent company is not. A silicone free BB cream that boasts a stellar lineup of anti-aging ingredients, antioxidant protection, and an oil-free finish. REN’s formula includes fluorophores that help to tone and tighten skin, seaweed-based antileukines to offer protection against UV damage, tocotrienols from cranberry seed oil to help combat environmental pollutants, and magnesium, glycogen and vitamin C to refresh and revitalize skin. This cruelty-free BB cream offers medium coverage which means it’s a good alternative for liquid foundation and is formulated to adjust to a wide range of skin tones from light to medium, leaving skin luminously flawless. Covers imperfections while firming your skin to create an anti-aging effect. This BB cream features a proprietary InstaFilter technology that blends mattifying and pore balancing spherical beads, color filter pigments and high-tech polymers that blur imperfections, optimize light, and improves texture. 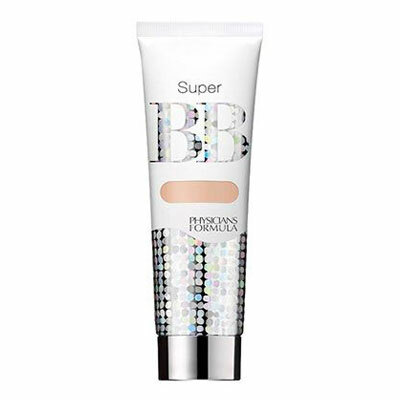 A full coverage BB cream, this product neutralizes skin tone imbalances and minimizes pores creating a flawless face, smoother the appearance of fine lines while protecting against UVA/UVB damage with SPF 30. Paraben free, gluten free, and fragrance-free. This model favorite cuts down on prep time, instantly creating even, radiant skin that lasts all day. With a slightly thick consistency, this cruelty-free BB cream blends smoothly with medium coverage and SPF 35. 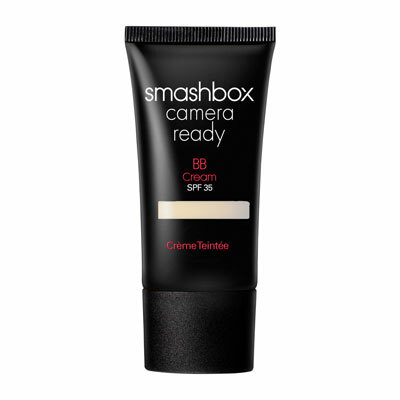 Available in five shades, Smashbox Camera Ready BB Cream hydrates skin while controlling oil and reducing the appearance of fine lines. Works as a primer or on its own. Formulated without parabens, sodium lauryl sulfates, phthalates, oil, fragrance or talc. A must have for enviably radiant, glowing, and youthful skin. 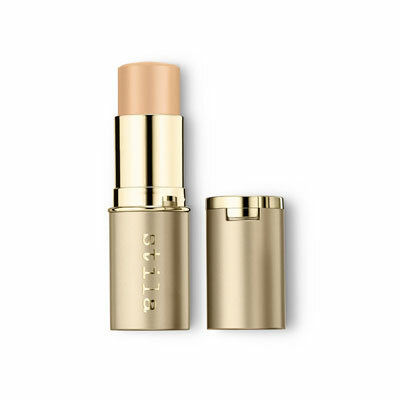 Stila’s Stay All Day 10-in-1 HD Illuminating Beauty Balm blurs fine lines and minimizes large pores with formulate micro-spheres and peptides. Working like a tinted primer, this product mattifies oily faces and provides a smooth canvas for the rest of your look. 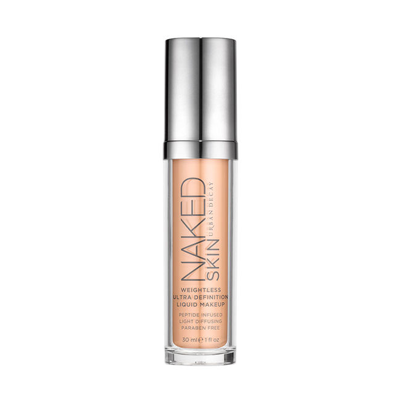 Lightweight, water resistant, and crease-resistant this works as a primer underneath foundation or on its own. It’s paraben free and oil-free, instead using plant extracts to brighten dull skin. Cruelty-free serum foundations are currently all the rage in the beauty world. Also known as foundation fluids or skin tints, these milky, oil- and silicone- based products are designed to mimic the appearance of bare skin and feel weightless while providing skin with a velvety, no-makeup look. Serum foundation perfectly combines the lightweight feel of tinted moisturizer and the full coverage of a liquid foundation. With a super fluid consistency, serums blend easily onto your skin and creates a no-makeup look while still offering an almost-airbrushed like style. #Protip: serum foundation is pretty thin compared to a liquid foundation so a traditional flat foundation brush is the best option for getting a smooth and beautiful finish. bareMineral’s brightening serum cruelty-free foundation lives up to their reputation for natural-looking color with 18 shades on offer. Perfect for dry skin, this foundation has a hydrating texture and beautifully smooths over any dry patches. Formulated with lilac plant stem cells bareMineral’s serum foundation boosts the skin with antioxidants while also protecting against free radicals. It’s also got vitamin C in it which helps to even out skin tone and fade any discolorations. A fresh take on the blur stick trend that’s been popping up on beauty editor desks across the country, IT Cosmetics Confidence in a Compact Solid serum foundation combines blurring capabilities with its cult classic cream foundation. This cruelty-free foundation glides onto the skin like a BB cream but lighter and more breathable. Perfect for everyday wear, it covers up redness, smooths out uneven textures, and minimizes the appearance of pores. Slightly tinted – with seven different shades – this serum gives skin a dewy finish while offering skin the same type of goodness often found in standard elixirs like hyaluronic acid, hydrolyzed collagen, free radical-fighting squalene, moisturizing ceramide, and SPF 50+ broad spectrum sunscreen. 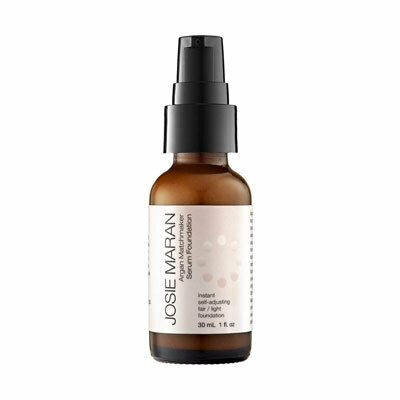 Josie Maran’s Argan Matchmaker Serum Foundation utilizes crazy chameleon pigments that automatically adjust to your skin color. For real. It goes on white and then changes to match your own skin tones once you begin blending it. To make it perfect for all complexions this cruelty-free foundation comes in three different shades to make it easier on the chameleon pigments. In addition to rad color matching, this product doubles as a moisturizer with a high dose of organic argan oil. It provides a velvety high-def finish while strengthening and balancing skin, correcting fine lines and wrinkles, and controlling shine. 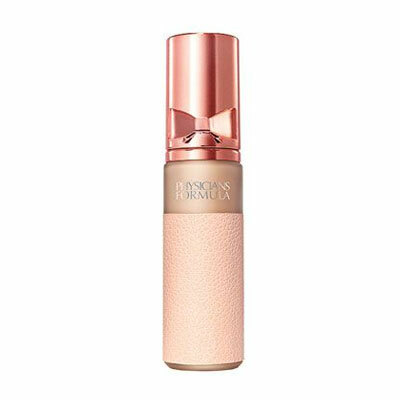 Called the “holy grail foundation for foundation-phobes” by beauty editors, this serum foundation is a glowy cruelty-free foundation that’s packed with water, glycerine, and hyaluronic acid for the perfect amount of moisturization. Ultra lightweight and easy to apply (a little goes a long way!) 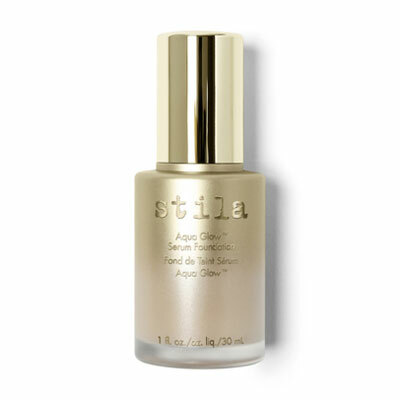 Stila’s Aqua Glow Serum Foundation provides a natural-looking finish. This cruelty-free foundation is non-drying, and buildable without looking cakey, and offers youthful and luminous looking skin that helps explain all the hype around serum foundations. Stick foundation offers the benefits of both foundation and concealer in one nifty tube. Perfect for traveling, the compact nature of stick foundation and its concentrated consistency mean you can use it as a concealer, offering extra coverage for dark under ear circles, scars, birthmarks or blemishes. Stick foundation comes in medium to heavy coverage. #Protip: apply cruelty-free stick foundation by drawing a few lines across your forehead, nose, cheeks, and chin and then blend in with brush or sponge. 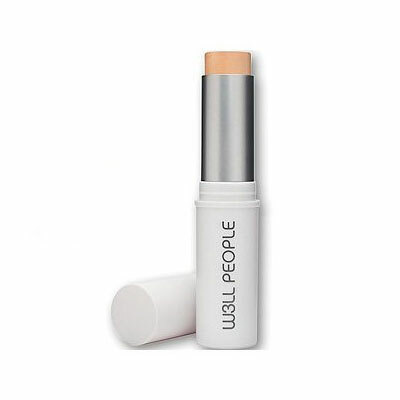 This creamy cruelty-free foundation stick is versatile. It provides a sheer finish if blended with moisturizer or medium to full coverage if applied all over. Easy to apply with flawless blending, this foundation offers great coverage from just a dab or two of product while also doubling as a convenient touch-up tool. This is a stick foundation with a thick texture and a matte finish. Cover FX’s dual-ended cruelty-free foundation stick allows you to pick two shades from their collection and put them both in the same convenient container. This means you can conceal, highlight, and contour all from the same tube of creamy yet weightless cream foundation. It functions as both a long-wearing, full coverage foundation and concealer that instantly conceals imperfections, blending seamlessly for a perfect natural finish. Available in 24 shades. This is a great cruelty-free foundation for first timer foundation stick users. It’s got a triangle-shape that’s super easy to apply with just a few swipes. 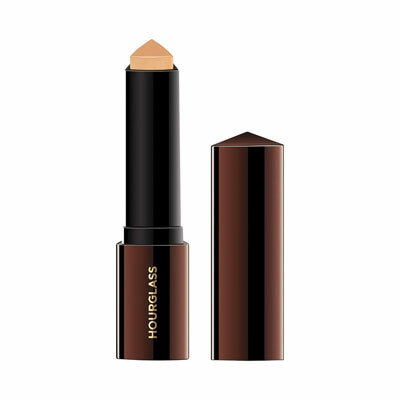 Hourglass Vanish Seamless Finish Foundation Stick is a 2-in-1 hybrid of foundation and concealer that offers a buildable and flawless coverage that basically melts into your skin blended. With a wide range of shades, this foundation provides a dewy finish that can erase dark spots, fine lines, and blemishes. This is basically the best cruelty-free foundation stick you can get for under $10. Don’t let the price tag fool you though, this foundation still offers a luxurious and creamy formula that’s easy to apply, blendable, and long-lasting. 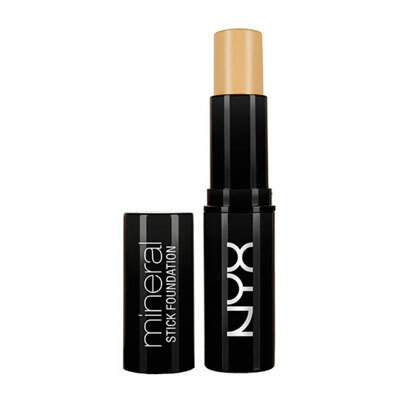 NYX’s Mineral Stick Foundation is ideal for travel or touch-ups on the go and this cruelty-free foundation can be applied all over your face for full coverage, or used as a concealer to cover up blemishes. 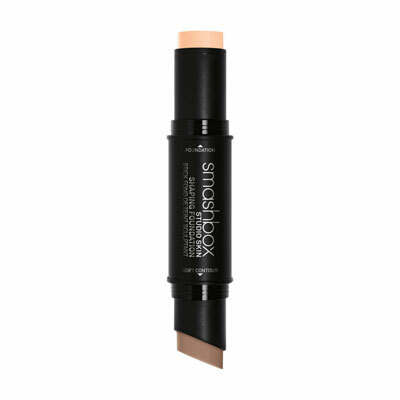 Smashbox Studio Skin Face Shaping Foundation Stick is a double-ended makeup stick with medium coverage foundation stick on one side and a stick of soft contour shade on the other. This all-in-one foundation provides coverage and sculpting that’s perfect for quick touch-ups on the go. It’s a buildable and moisturizing cruelty-free foundation that blends smoothly for a natural looking finish. The contour side of the double-sided stick adds dimension to your face in seconds and has an angled tip that’s perfect for shaping and sculpting your look. Smashbox’s foundation stick offers lasting coverage that doesn’t crease, is true to color, and is sweat-, humidity-, and water-resistant. Free of sodium lauryl sulfates, fragrance, alcohol, oil, parabens, and phthalates. In addition to the coverage of Stila foundation and concealer that fans rely on, the Stay All Day Cover Powder Finish Foundation & Concealer packs an under-eye concealer into the cap of the stick foundation. With a creamy texture that glides on effortlessly and blends seamlessly, this product dries to a soft, powdery finish that lasts up to 12 hours. The hidden concealer is great for balancing out under-eye circles and hide imperfections. Stila’s cruelty-free foundation formula includes 15 bio-available vitamins, minerals, and antioxidants that are skin nourishing, helping you to put your best face forward. 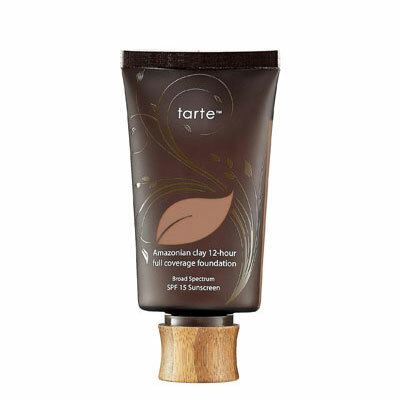 Tarte’s Clay Stick Foundation is from their Amazonian clay range of products and is a full-coverage vegan and cruelty-free foundation that Tarte calls “a nutrition bar for your skin.” The foundation’s formula includes vitamins C, E and Amazonian clay for a shot of antioxidants and is free from harsh chemicals like talc, sulfates, phthalates, or parabens. It also features micro-encapsulated powders that burst when warmed by your body heat to keep your skin shine-free for up to 12 hours. This foundation offers a natural finish that looks and feels like your own skin and hydrates or mattifies, depending on your individual skin. Why we love it | A cruelty-free stick foundation made from all natural and organic ingredients, what’s not to love? 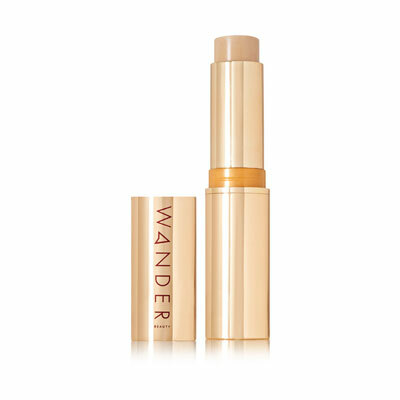 Made with the frequent-flier in mind, Wander Beauty’s Flash Focus Hydrating Foundation Stick is travel-friendly and formulated for hydration with ingredients like vitamins E and C, coconut oil, and hyaluronic acid that help combat the drying effects of recycled cabin air. It offers the benefits of a hydrating lotion and glides on for easy application. This cruelty-free foundation can be built from light coverage to full, depending on the look you’re going for. Cruelty-free cream foundation is similar to concealer in portability while being softer and moister than a stick foundation. It generally comes in a compact which means you can easily slip it into your purse for an on-the-go touch-up sesh. 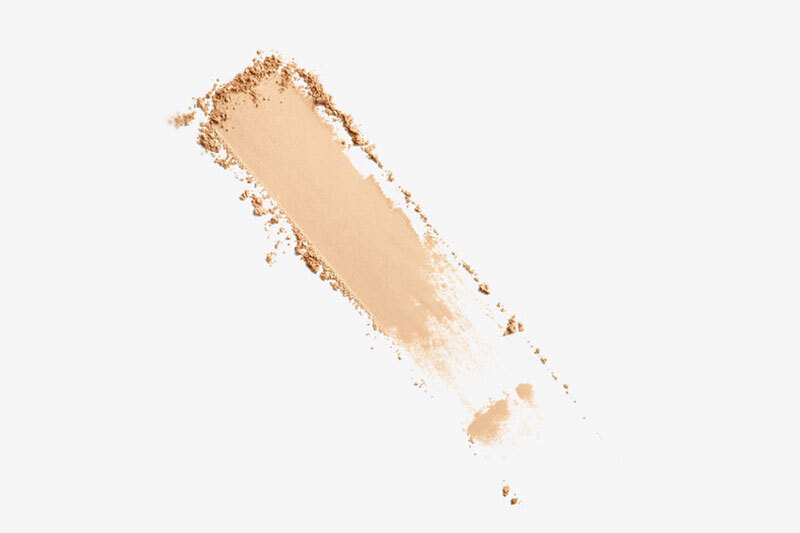 Cream foundations are easy to layer so you can build the perfect look – whether that’s sheer barely-there style or more comprehensive coverage, specifically if you want coverage focused on one area. Also, if you want to do anything fancier, like contouring, creams are the way to go. 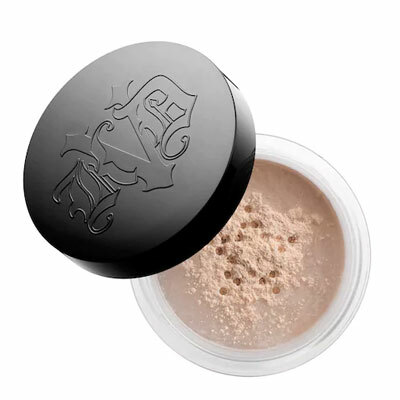 The downside of creams is that most formulas need translucent powder to set the makeup and make sure it stays in place and it tends to sit heavier on your face so it might not be the best choice for daily wear. #Protip: to apply, use a sponge to pat the cream onto your face and them buff it smooth with a fluffy powder brush. 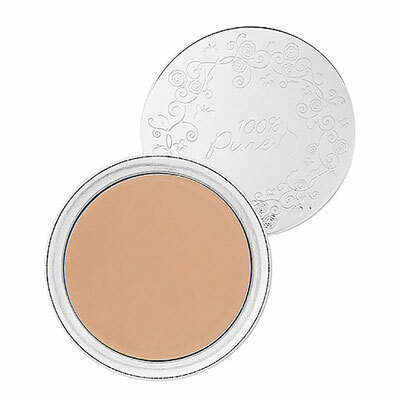 100% Pure’s Fruit Pigmented Cream Foundation is best in class for natural cream foundation. This foundation uses pigments from fruits such as peach and papaya, as well as avocado butter, aloe, and antioxidant-rich pomegranate oil for a natural and vegan medium coverage cruelty-free foundation. The hydrating formula is great for dry or sensitive skin and its creamy texture glides onto the skin for an easy blending experience. 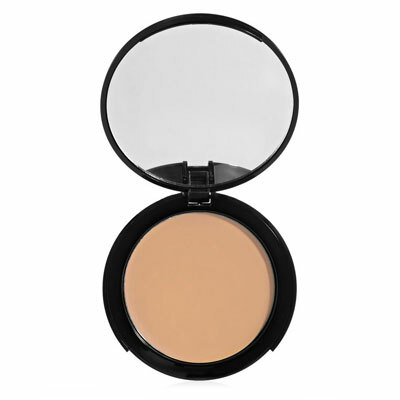 Once dry, it changes from a cream foundation to a velvety powder. 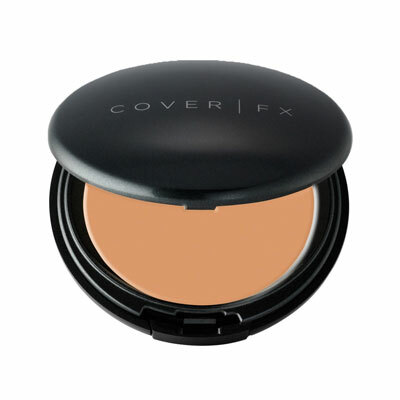 COVER FX Total Cover Cream Foundation is an antioxidant-rich cream foundation that offers the benefits of both a concealer and foundation, plus the added bonus of SPF 30 protection, all in one handy compact. This cruelty-free foundation provides medium to full coverage that’s buildable and long-wearing for a radiant finish. 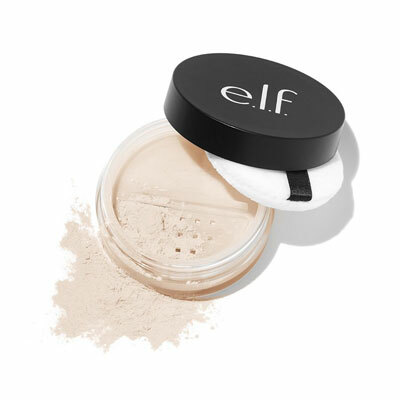 With a creamy, ultra-blendable texture, this cream is great for covering imperfections like acne, redness, and eye circles while protecting against free radicals with antioxidants and vitamins C and E.
Another e.l.f favorite, this HD Mattifying Cream Foundation creates a matte finish with their cream to powder formula, that softens and blurs fine lines and imperfections. Accurately named, this high-definition cruelty-free foundation is vegan, oil-free and lightweight. This budget-friendly cream foundation is great if you’re looking for a natural finish packaged in a handy compact that includes an application sponge for on-the-go beauty. We’ve all heard the horror stories of jawline streaks, bad color matches, and foundation caked into wrinkles. But foundation doesn’t have to be a bad experience. Done properly it will augment your skin, making you look fresher and smoother. When choosing a foundation the first thing to do is get to know your skin better. What’s your skin type? Is your skin sensitive, dry, oily, prone to breakouts? There are a number of different skin types and the key to a flawless face is finding the product that’s best for your skin. Some women might even use one foundation in the summer and a different one in the winter as skin gets drier and tans fade. You can have the same skin color as someone else, but a different undertone and how light or dark your skin is doesn’t effect whether you have cool or warm undertones. One of the best ways to determine your skin’s undertones is by looking at the inside of your wrist. This area doesn’t get much sun action which means you should be able to see your natural undertones pretty well. Are your veins bluish or deep purple? If so, you’re probably in the cool end of the spectrum. If your veins are greenish then you’re likely warm tones. (btw your veins aren’t actually green, it’s just blue veins + yellow skin tone = green) And if you can’t really tell what color your veins are you’re most likely a neutral tone. Likewise, if you tan easily your undertones are probably warm or neutral. Burn easily? Your undertones are probably cooler. Your hair and eye colors can help you figure out your undertones. Generally, people with blue, gray, or green eyes and blonde, brown, or black hair with blue, silver, violet, or ash undertones are cool toned. People with brown, amber, or hazel eyes and strawberry blonde, red, brown, or black hair with gold, red, orange, or yellow undertones are warm toned. If you’re still unsure, you can always try the jewelry trick. Think about whether you look better in silver or gold jewelry – not which you like more, but which type of metal makes you glow. Typically, cool undertones look better in silver and platinum, while warm tones are more flattering in gold. Next, start thinking about the type of foundation that you want. There are basically two different options to choose from when it comes to foundation, liquid or powder. Liquid foundation is anything that’s wet, while powder is – as the name suggests – powder. Liquid foundations also include creams, mousses, and pastes. You can choose one or the other, or opt for a combination of both. Once you’ve decided which type of cruelty-free foundation you prefer it’s time to look at coverage. Coverage determines how light or heavy the foundation looks, basically, how much of your skin is showing through. 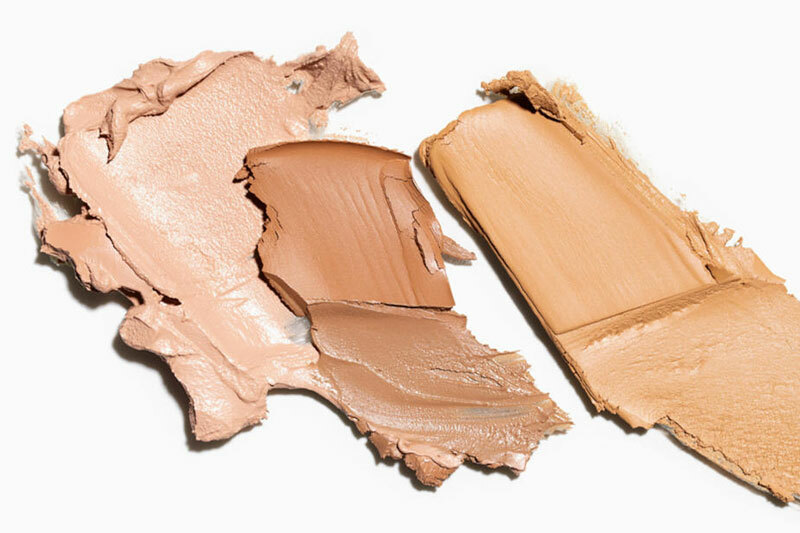 Foundation comes in sheer, medium, or full coverage. Sheer foundation provides the lightest coverage and is the most natural looking. It’s good for young women who are just starting to wear makeup, those looking for a “no-makeup look”, or those who just want a small boost to their complexion. 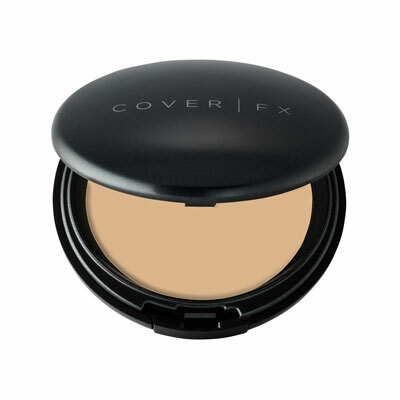 Medium coverage is slightly heavier and is the middle ground between covering up blemishes and looking natural. Full coverage is the thickest foundation and should be able to hide all blemishes, dark spots, as well as smooth out fine lines. Many products are now designed to be buildable so you can start with a sheer coverage and add in another layer for the days you need extra coverage. Finally, it’s time to decide on a finish. This depends on both your skin type and the look you’re going for. Generally, people with dry skin want a dewy finish and oily skin want a matte finish. Make sure your foundation is cruelty-free by checking PETA, Leaping Bunny, Choose Cruelty Free or our own list of cruelty-free brands. 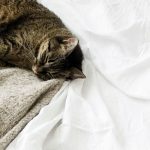 There are a lot of really great brands out there that are cruelty-free so it’s pretty easy to find a kinder alternative to your makeup staple that also looks great. When shopping for foundation, always test it on your face, not your hands. If you’re not sure what your shade is you can always ask for a sample. Many beauty stores are happy to help. If you’re testing out a sample color, apply it to your face and wear it for a few hours. Then check it in natural light. If the color hasn’t darkened or gone ashy then it’s a good match. If a store doesn’t offer a sample you can always try the foundation on in the store and do a bit of shopping. Try and get out into natural light and check how the foundation looks. If you’re having trouble deciding between two shades, opt for the lighter one since most shades “warm up” once its on the skin. If you’re having trouble finding the perfect foundation to match your skin color and type, you can always use two different shades or formulas. Moisturizing 5-10 minutes before applying foundation makes the makeup easier to apply and also helps it stay on your skin. Primer’s always a good idea. It’s not a makeup essential but it helps even out your skin and creates a smooth surface for the foundation to stick to. If you want to cover up blemishes, start by lightly applying foundation and then build up from there. This makes it much easier to correct any mistakes. Also, if your skin still needs a bit of help with coverage, put foundation on before concealer. Blending is your bff. Blending the foundation into your ears and neck prevent weird makeup lines from appearing on your jawline. Always check your face out in natural light after applying foundation to make sure the shade is spot on and that you didn’t miss any spots when applying.